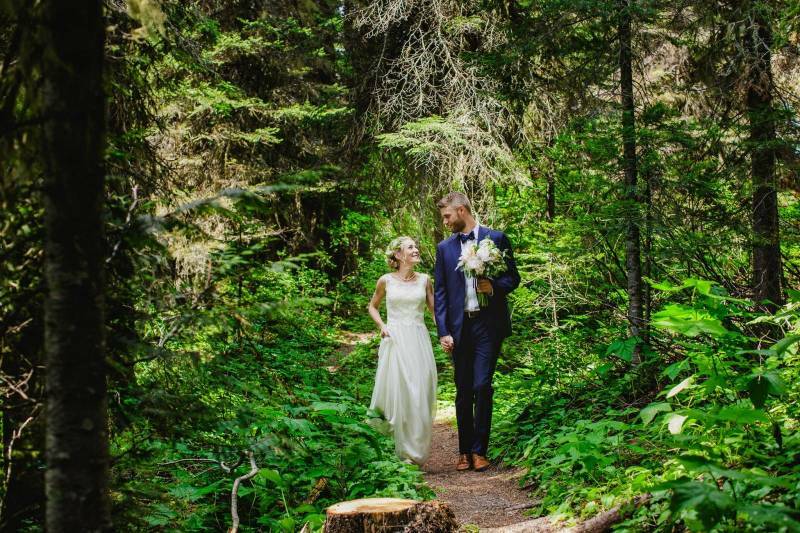 Today I am thrilled to start this week off sharing the most incredible, gorgeous and warm-hearted wedding in Fernie, BC. 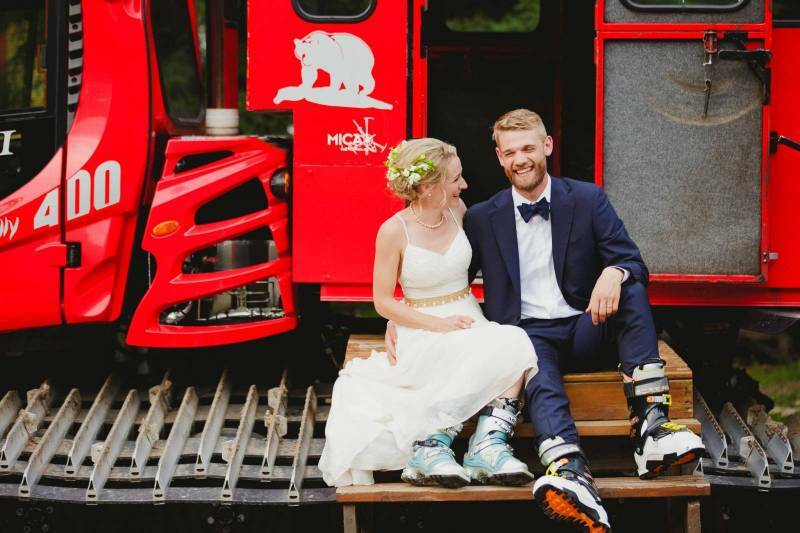 To be honest, I'm a bit jealous of this couple and wishing we were friends and I could tag along on some of their amazing adventures (like camping in the Yukon). 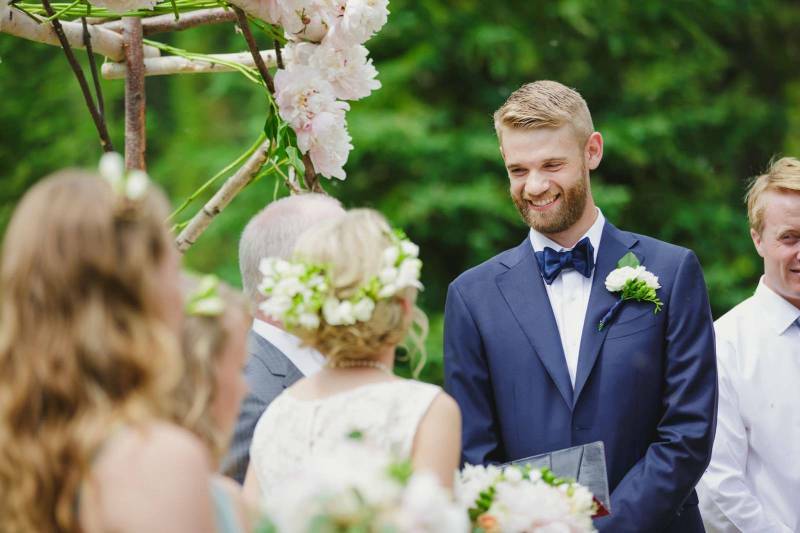 Kate & Stuart's wedding is breathtaking, the style, the scenery and the decor is simply amazing, but it's the deep connection to family and friends that makes this wedding truly extraordinary. 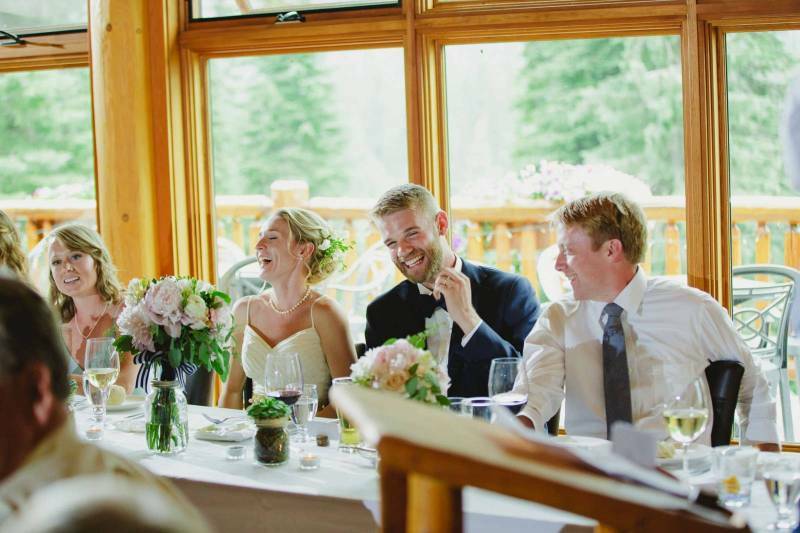 It's a wedding where family and friends didn't just come to watch, but to support the couple in any way possible. 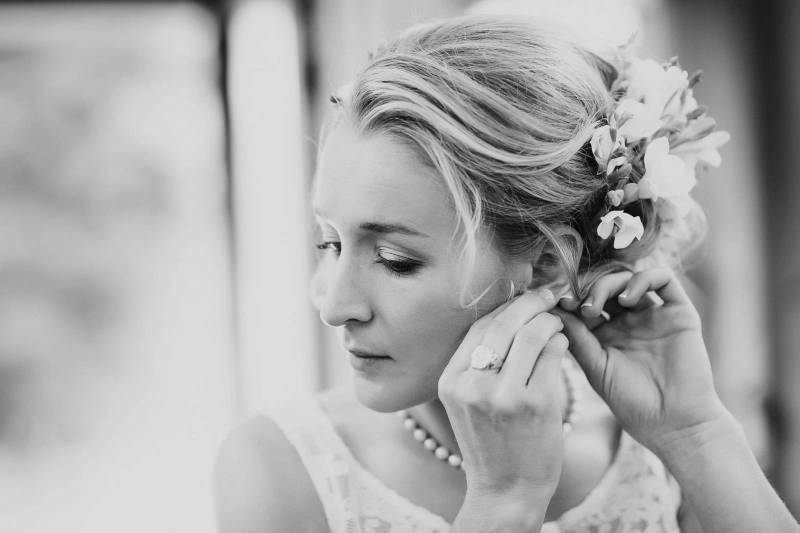 Kate's list of thank-you's to family and friends for helping with their wedding is touching and beautiful and you can sense the love and support of everyone throughout the special event. 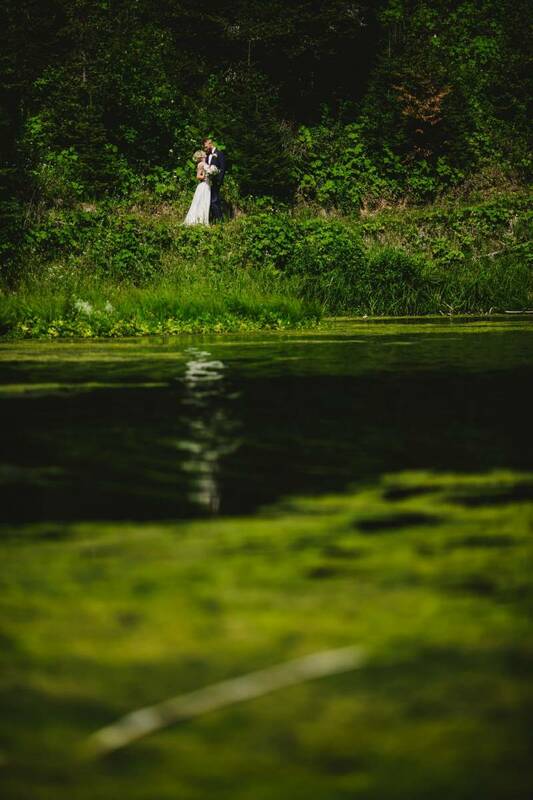 6:8 Photography captured all of the emotions and beauty of the wedding in perfect photographs that I am excited to share with you today. 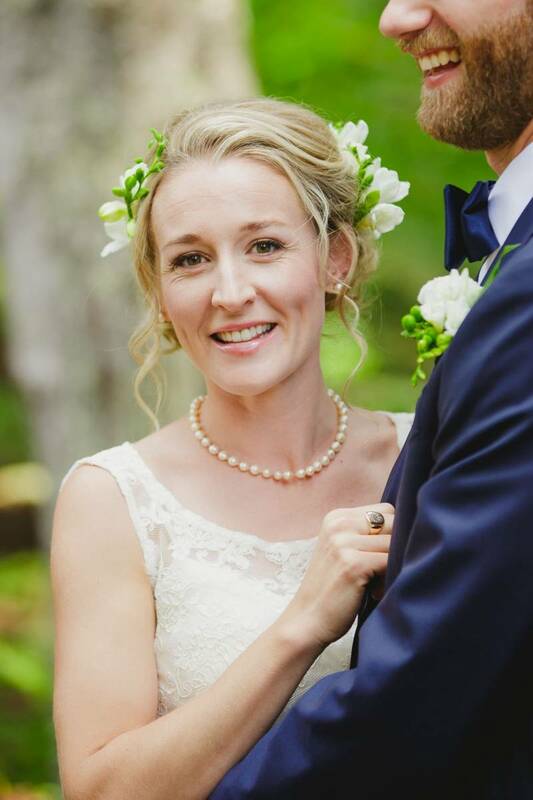 Kate and Stuart met 11 years ago at Queens University on the rowing team (Stuart was a novice and Kate was a coxwain for the varsity women's eight). Kate was always pretty smitten with Stuart (how could she not be - he is 6 foot 5, handsome, with a great laugh and an easy smile! ), but she kept her feelings concealed until after they graduated. 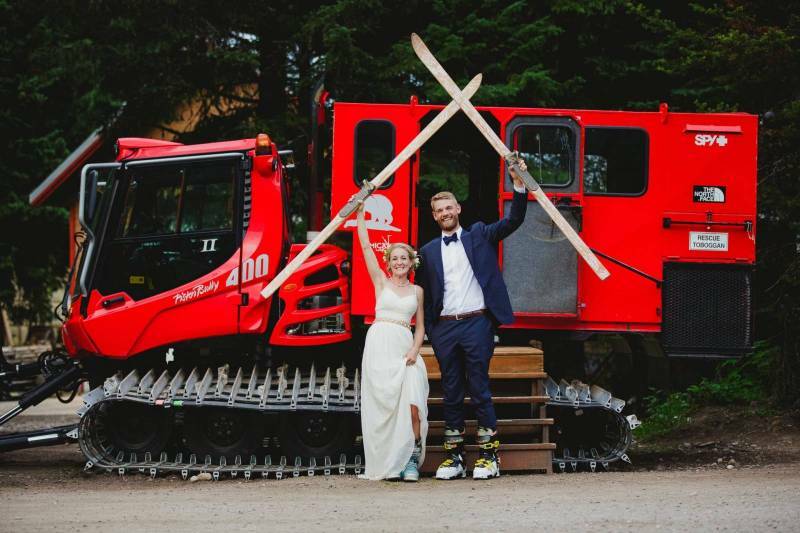 Their friendship was rekindled when Stuart invited Kate on a ski trip with mutual friends at his family's chalet in Fernie, and they stayed in contact while Stuart was overseas working in Norway. 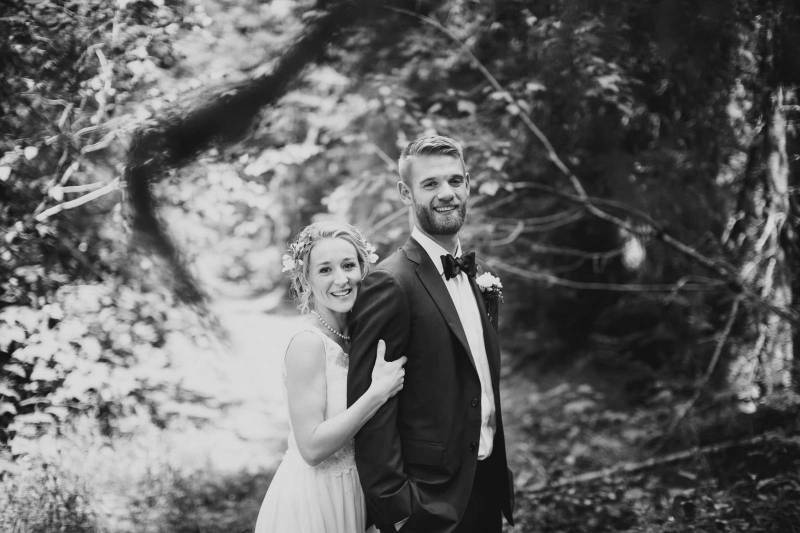 After nine months of work abroad, Stuart decided to return to Canada to pursue MBA school at UBC (and luckily for Kate.... their relationship!). 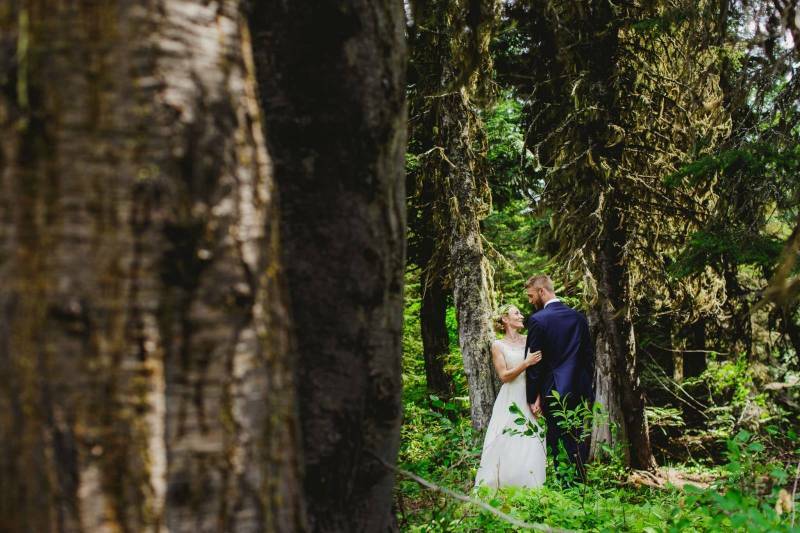 Although they had known each other for a long time, their official first date took them to the Yukon, where they spent 5 days in the bush at a wilderness cabin on Lake Laberge. 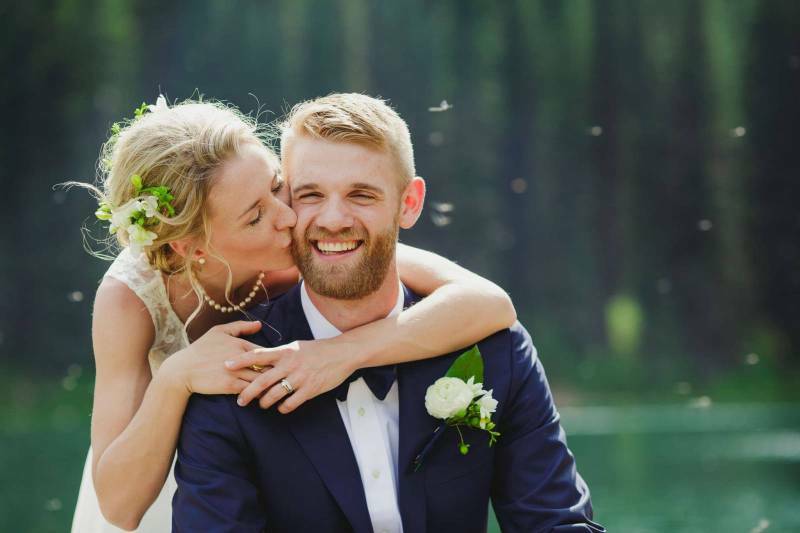 Since then, they have grown very close with mutual passions such as downhill, cross country and back country skiing, as well as fly fishing, biking, hiking and spending time with their dog Stella and their families in Fernie (groom) and Canmore (bride). Presently, Stuart is a natural gas analyst in Calgary. Kate graduated from veterinary school in 2014 and now works with 'all creatures great and small' at the Animal Care Centre of Strathmore. 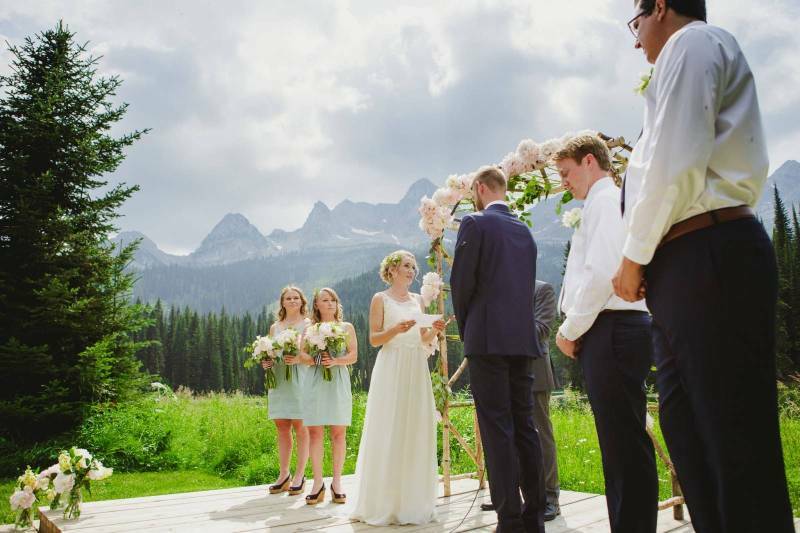 Stuart proposed in Canmore, in front of a warm fire overlooking the Bow River and the Three Sisters Mountain range. She said yes without reservation! 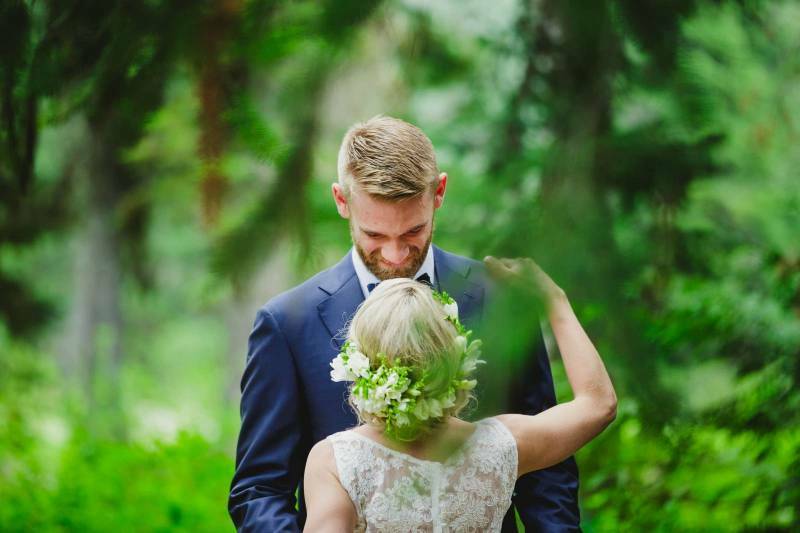 The next day they were off to run the Banff Jasper Relay and decided to keep their engagement a secret from family and friends for a month to save the magic between the 2 of them. 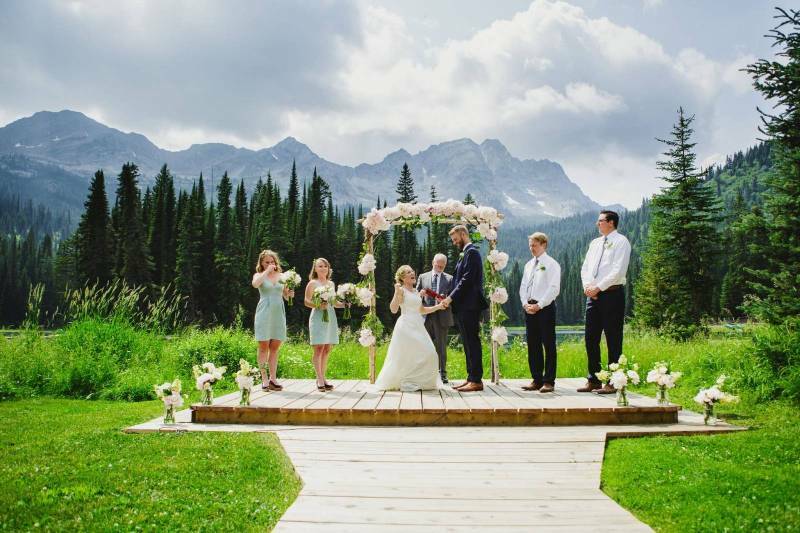 They chose to get married in Fernie because it is such a huge part of their relationship and they are always biking, fishing or skiing their whenever possible. 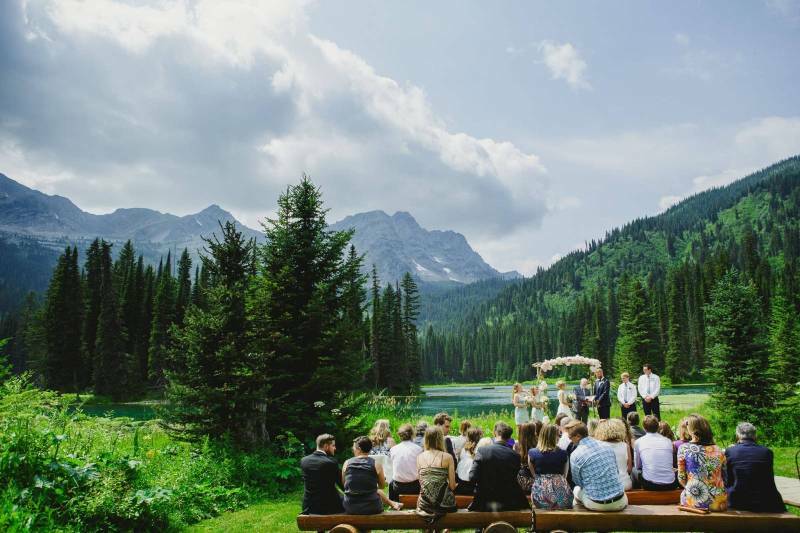 It wasn't hard for them to choose the venue either as Island Lake Lodge is the most incredible location for an initmate mountain wedding. 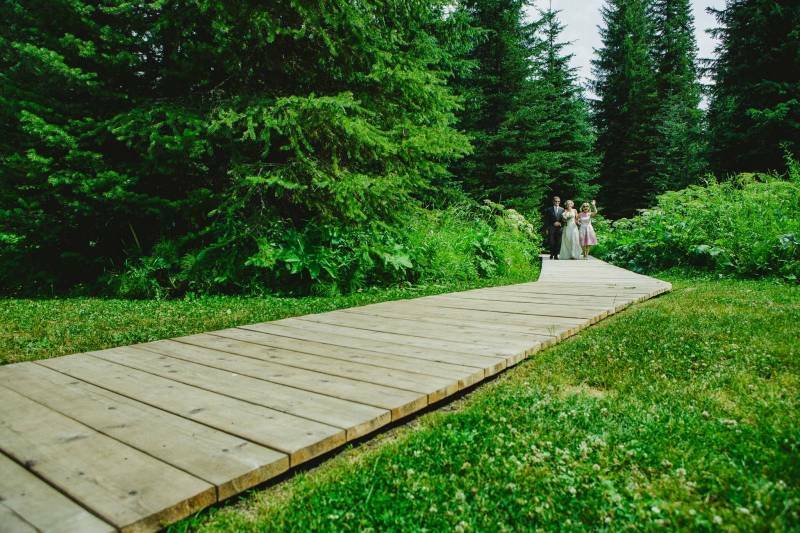 Kate and Stuart decided on a first look in the woods and it ended up being one of their favourite moments from the entire wedding. 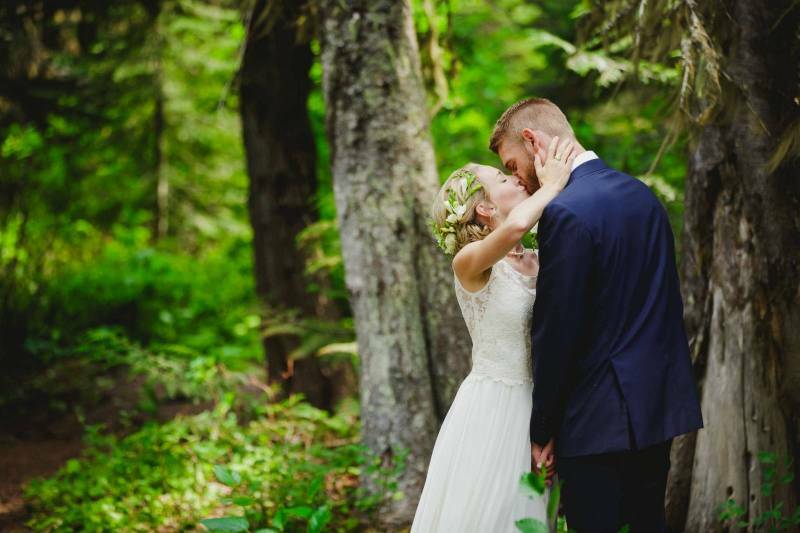 It was just the two of them in the woods and it was completely magical. 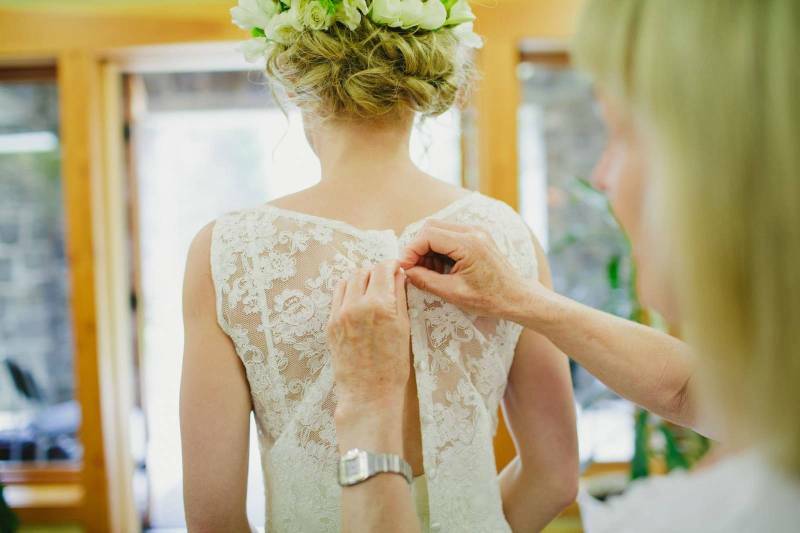 Their photographer stayed back and encouraged them to take a moment to just be together before the excitement of the ceremony! 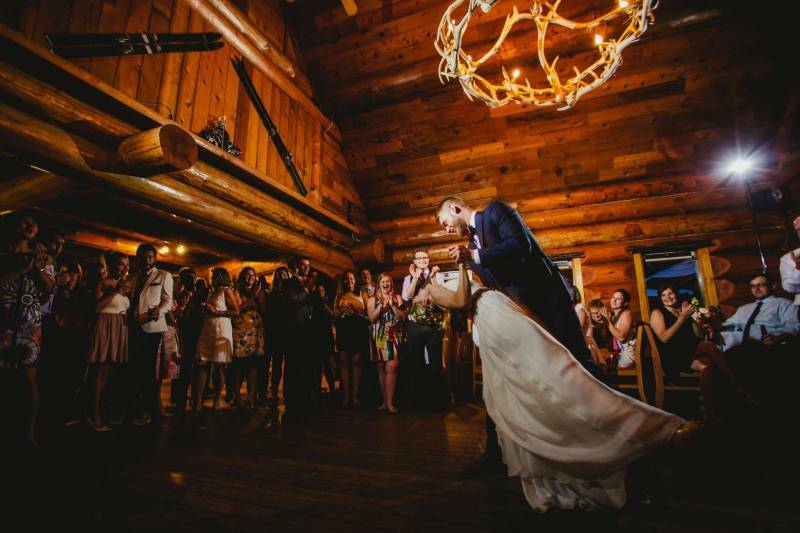 I can hardly believe how gorgeous Stuart and Kate's wedding ceremony was! 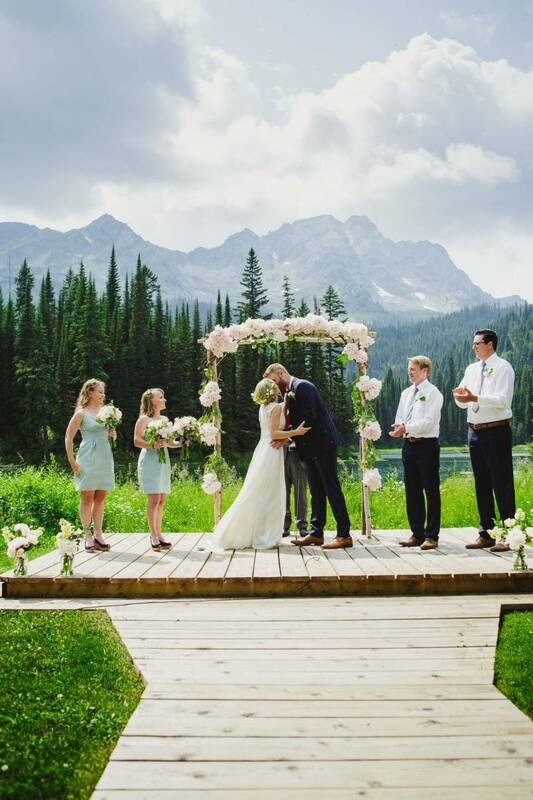 I mean the colours, the mountains, the pink peonies covering the rustic arch, the boardwalk, the wooden benches for guests, the lake....it's so beautiful and so perfect, it really is almost unbelievable! 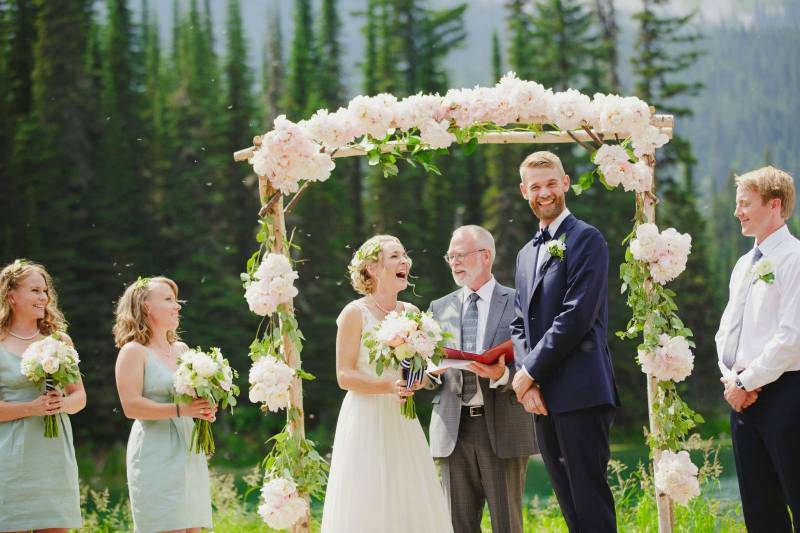 Kate and Stuart's neighbour provided all of the peonies from her massive garden at their farm, she also kept them alive in a cold storage unit for two weeks and transported them to Fernie. 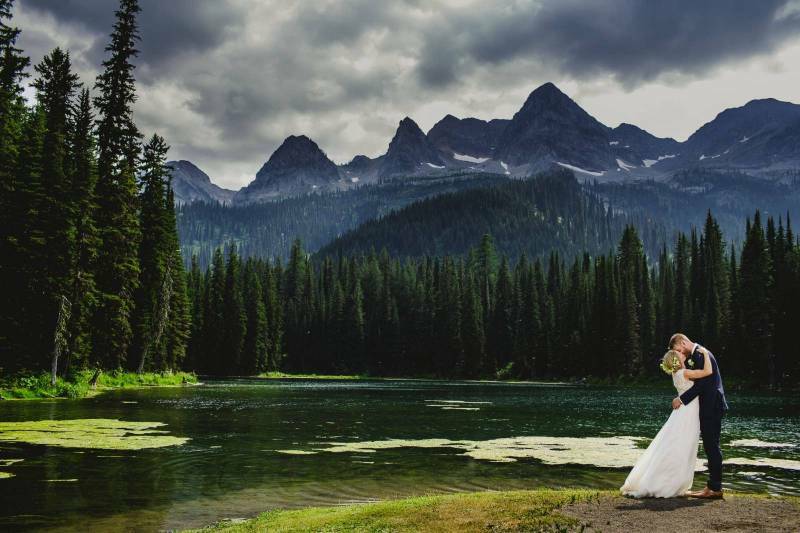 Once they arrived safe and sound in Fernie, Kate accidentally locked them in the cold room and had to call a locksmith to rescue the precious flowers in time for the wedding. 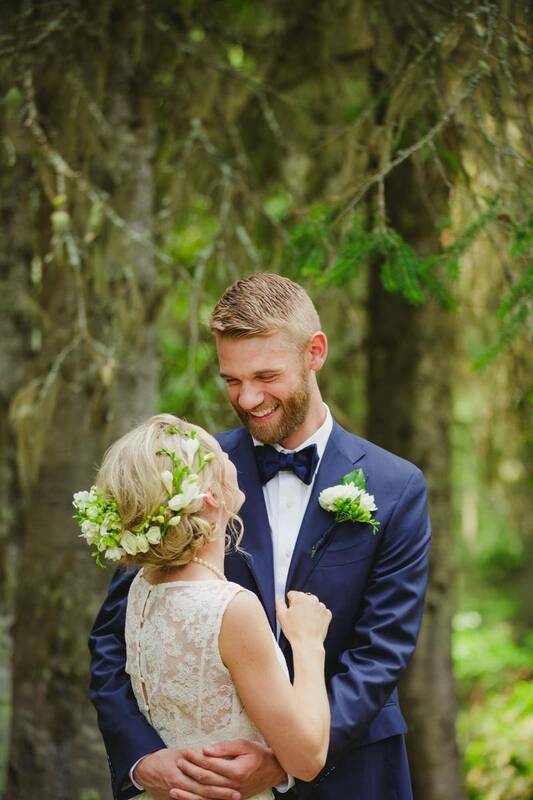 Once they were rescued, Stuart's sister put them together, creating the stunning arch, as well as all of the bouquets, boutonnieres, and flower clips for Kate's hair (talk about an amazing sister in law!). 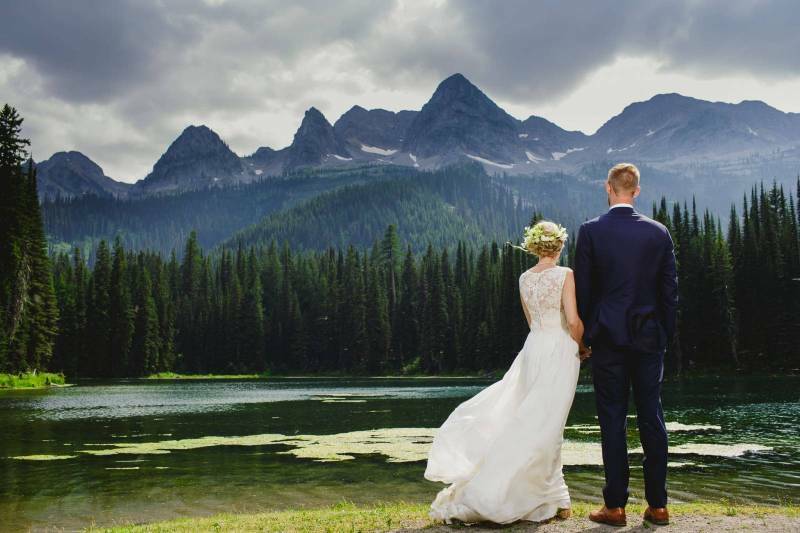 A huge thank you to 6:8 Photography for sharing these gorgeous Fernie wedding photos with us and to Kate and Stuart for sharing their story and all the details of their wedding. I have loved every photo and every part of the stories and hope you do too! 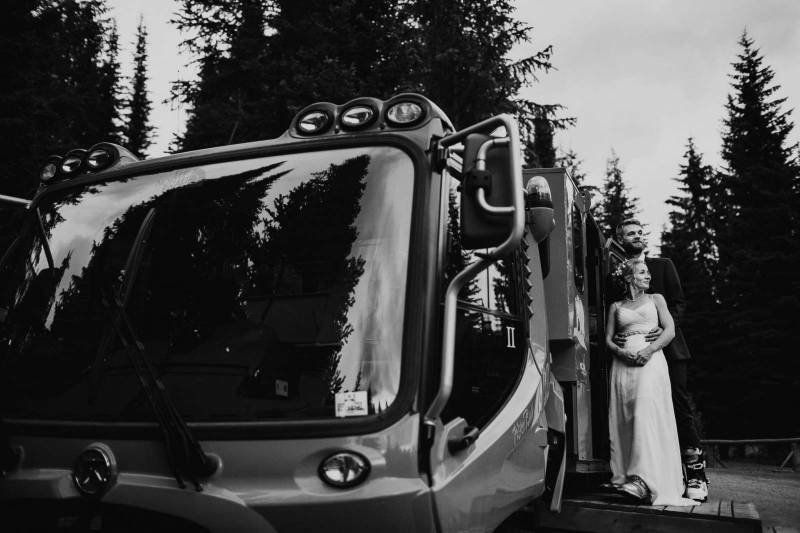 "One thing that we would recommend to EVERYONE planning a mountain wedding is to do a weekend event with all your guests at an intimate destination so that the bride and groom can spend as much time as we did with our wedding guests. Every meal and bit of spare time from the arrival/rehearsal dinner on friday night, through brunch on sunday morning was an opportunity to spend quality time catching up with our guests while doing things we love, like hiking, canoeing, biking etc! (or spa-ing for those that want that!)"